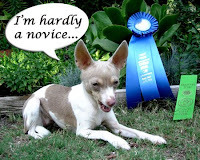 May 11 Cabrillo Dog Show- Kiko rocked the rally course with a score of 98 out of 100. She left all the shepherds, rottie and other herding breeds in the dust (no offense Splash!). I got told off for picking her up in the ring to receive our ribbons. She's got two more legs in Novice before we can move on to being off leash, which is when she will really strut her stuff as we mainly practice off lead. You have great videos on you tube? Where did u learn all this? I would be reading you! Hi Joa, Thanks for the comment. 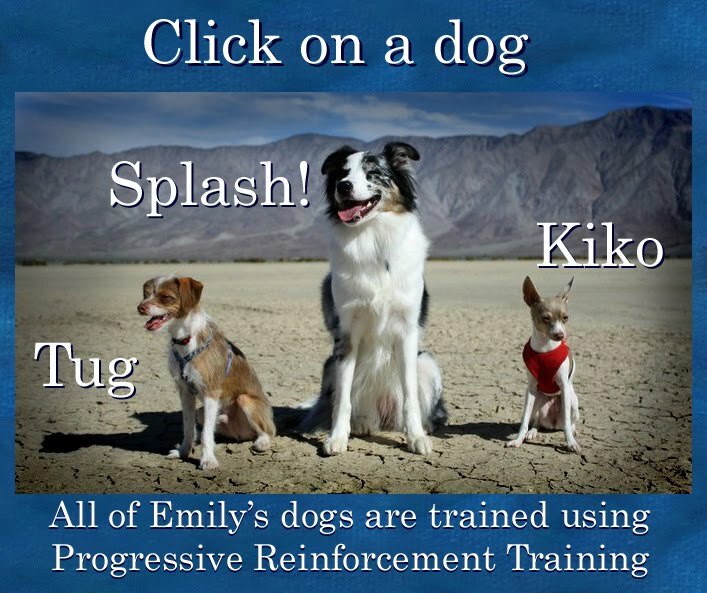 I learned through books, apprenticing to clicker trainers, conferences, but mainly just working with dogs! Dogs are the best teachers!